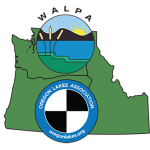 Act now to attend the 2018 Joint OLA/WALPA Conference in Portland Sept 26-28! Now is the time to register and book your room for this year’s lakes conference, Pacific Northwest Lakes in a Changing World, presented jointly with the Oregon Lakes Association (OLA)! Join us for workshops, presentations, a field trip, auction and raffle fun, awards, and mingling with friends and colleagues at the DoubleTree by Hilton in Portland. (as well as interact with a downright lovely group of people). Having worked in invasive aquatic plant management since the late 1960’s, I’ve watched Eurasian milfoil devastate aquatic systems across the Northern Tier states over the years. 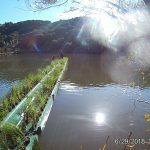 It is not often we see a new tool come along that has promise to help restore to lakes and river systems the native aquatic plant communities that used to thrive in them. New Zealand company ATS Environmental is working with three local New Zealand agencies to further develop a concept bringing together water treatment and the propagation of wetland plants. The intent is to improve on some of the well-understood positive attributes of “floating islands” that use plants and microbes to treat pathogens, heavy metals and nutrients in lakes and other water bodies while growing healthy wetland plants. 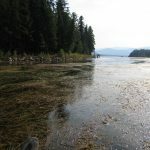 This submission is in response to the article published in the March 2017 Waterline Newsletter; “Environmental benefits from dredging soft sediment from a small recreational lake in Western Washington” (Plotnikoff et al. 2017). The Squaxin Island Tribe (the Tribe) wishes to supply additional information in an effort to clarify some crucial points. The Cranberry Creek Watershed, which includes Lake Limerick, is within the Tribe’s Usual and Accustomed Fishing Area. It supports anadromous runs of chum, coho, cutthroat and steelhead, all of which are commercially and culturally important to the Tribe.